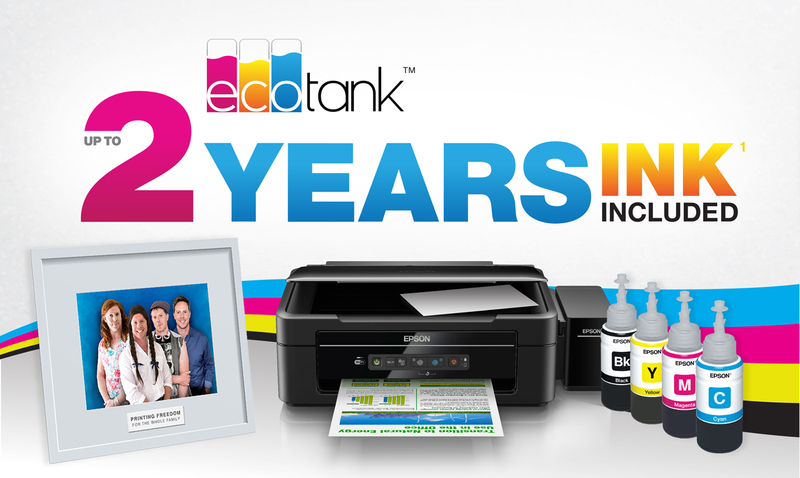 Epson's EcoTank printers give you and your family the freedom to print whatever, whenever. Whether you're printing Google Maps, assignments, music sheets, family photos, boarding passes, work documents, artwork and a whole lot more, you won't be caught short without ink again. The Epson EcoTank printers are wireless all-in-one integrated ink systems that takes the worry and hassle out of every day printing. Ideal for home and small offices it removes the mess and hassle often associated with non-genuine refills and third party ink tank systems. Plus, it comes with enough ink to last the average household 2 years. *1 Keep on printing without having to buy new cartridges. No ink cartridges required – With the Ink bottles included, you can easily fill and re-fill the individual tanks built in. And thanks to the high capacity ink bottles you can expect to print up to 4,000 pages in black and 6,500 pages in colour *2. 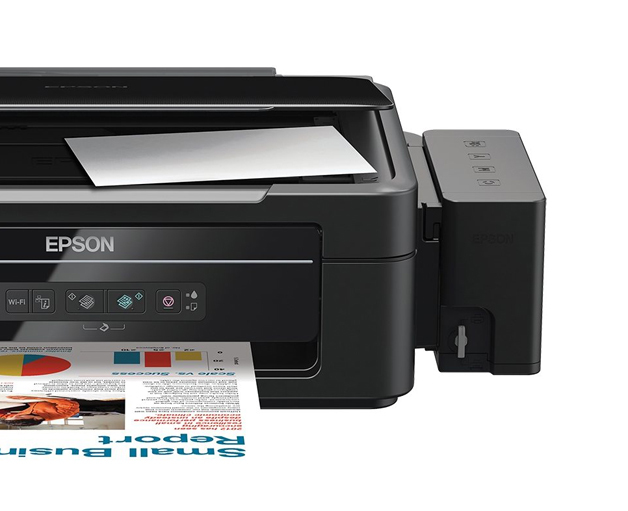 The Epson EcoTank printers combine affordability, convenience, quality and reliability in one incredible package. In just 3 easy steps, you can start saving money on ink and experience the freedom of printing with Epson's InkTank technology. Just fill, set up and print. It's that easy. 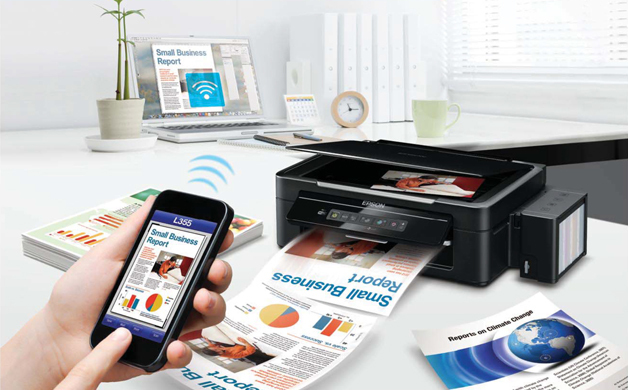 Built in Wi-Fi let's you print or scan from anywhere in the house. What's more, they are compatible with iOS and Android devices, making it a breeze to print from your Smartphone or Tablet. 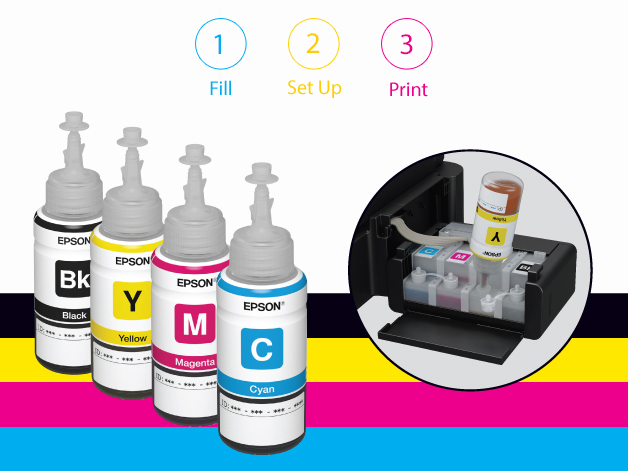 Epson genuine inks are produced in a clean-room environment and optimised to work with Epson's Micro Piezo print head technology to deliver Epson-quality. EcoTank is ideal if you want to print everyday documents, such as recipes, homework, emails and maps. *1 2 Year ink based upon user's average monthly print volume (TNS research – June 2013: UK, France and Germany). *2 Quoted yields/CPP are extrapolated based on Epson original methodology from the print simulation of Test Patterns provided in ISO/IEC24712. Quoted yields/CPP are NOT based on ISO/IEC24711. Quoted yields/CPP may vary depending on the images that you are printing, the paper type that you are using, the frequency of your prints and environmental conditions such as temperature. *3 The average of ESAT from the Office Category Test for B&W simplex, determined in accordance with ISO/IEC24734.